Installing multi-slide glass doors requires appropriate attention to detail to assure the desired outcome is achieved. Installation requirements: Sliding doors require attention on all sides of the opening, but the critical element is the installation of the track and the sill. Placement needs to align with the elements of the building that are intended to support the door and integrate with the finishes. The track length and location will depend on whether the door divides in half and stacks to both sides or stacks to a single side, and adequate clearances will be needed in either case. Once the track and sill are secured, the doors can be set into place. If the sliding door is electrically operated, the operator will need to be installed, the control pad located, and the electrical connections made. Cleaning and maintenance: Regardless of the door details, the final installation steps include final cleaning and testing. The door should operate smoothly and close securely in all cases. The seals should engage and prevent air leakage between inside and outside. From a maintenance standpoint, the doors should be routinely checked to ensure they continue to perform over time as when they were installed. If not, they should be repaired promptly by qualified personnel to prevent energy loss or weather penetration. 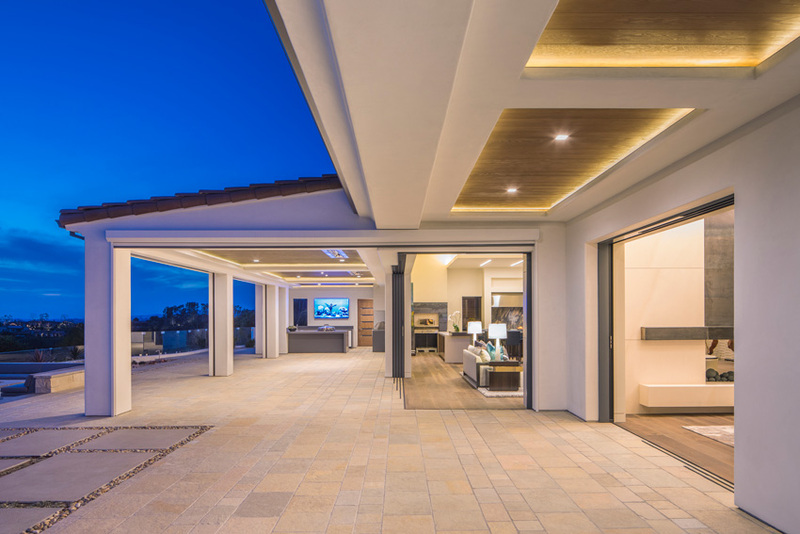 Manufacturers have developed construction methods allowing multi-slide doors to meet at a corner location, eliminating a post or structural element. That means that, when open, the corner disappears, allowing a full visual and physical three-dimensional connection between outdoors and inside. When closed, the door panels come together to form either an inside or outside corner again. Multi-slide glass doors are used to create large openings in walls or to take the place of an exterior wall altogether. The size of the panels and the total door unit can vary and is usually custom fabricated to suit a particular building project. As a practical matter, the glass in an individual multi-slide panel is generally limited to 60 square feet in size with the caveat that the height is generally limited to 12 feet while the width is generally limited to 8 feet. The number of individual panels can vary to suit the overall opening size, but there is typically a maximum of six panels that can be stacked up in each direction as a practical matter. Note that while these products are commonly used in door sizes, they can also be designed and used in shorter window sizes such that they function as multi-slide windows resting on a wall portion below and above them. Shown are multi-slide door configuration types. The configuration of the panels can be designed so that either all panels stack behind each other on one side of the opening or the panels are split to stack on both sides of the opening. Either way, there are two basic options in designing how the sliding panels stack. The first option is to keep one glass panel fixed or stationary and slide the adjacent panels to stack evenly behind the stationary unit. When stacked in this manner, some manufactured designs appear as a single panel when viewed from the inside or outside, maintaining a clean aesthetic. The second option is to conceal the sliding panels in a wall pocket. In this case, the sliding panels disappear altogether, giving the appearance of a full opening in an otherwise solid wall area. New multi-slide windows allow window installations to achieve the same effect as multi-slide doors. When laying out multi-slide doors, the door units need not be limited to a single wall plane. Manufacturers have developed methods to allow doors to meet at a corner location such that a post or other element is not needed. That means that, when open, the corner disappears, allowing a full visual and physical three-dimensional connection between outdoors and inside. When closed, the door panels come together to form either an inside or outside corner again. Some manufacturers have adapted multi-slide door panel technology to window applications. This allows for whole vistas of windows to disappear, capturing the same benefits of multi-slide doors. Multi-slide glass doors can be incorporated into a wide range of building types in a number of ways. They can be fully integrated with the building’s construction to create a seamless and flush appearance, allowing the doors to disappear altogether when open. In other cases, they can create a large feature in a facade by allowing for a distinctly defined opening. The flexibility of multi-slide doors can be used to work with the overall building design to enhance or even define a particular aesthetic. When it comes to coordinating the visual appearance of the multi-slide doors with the other doors in the building, it is appropriate to pursue a visual balance amongst all the doors. In that regard, architects often seek doors that can provide clean and even sightlines between different functioning doors to create a consistent daylight opening and complete overall design. Manufacturers offering a “perfect match” stile and rail can ensure that, regardless of operation, doors across the facade are balanced. There are clear design opportunities and advantages for multi-slide doors, but to be truly efficient product, their functional performance must be equal to their aesthetics. Any window or door product needs to use quality materials that are fabricated to provide a smooth and tight operation. In order to provide a good value to the owner, they must be durable enough to continue to operate well over their lifespan. And doors and windows must meet the thermal demands of the climate where they are installed, managing heat transfer and air infiltration. Multi-slide glass doors satisfy performance needs using a variety of tools. The first tool they bring to bear are the materials used in their fabrication. The performance of the material selected translates into the performance of the overall unit. It is most common for the door panels to use aluminum frames surrounding the glass, either with or without thermal breaks, as may be needed. A unique design innovation is an aluminum and wood combination system. This aluminum wood frame uses a low-maintenance aluminum exterior combined with a natural wood interior to enhance the interior design scheme of the building. Certain manufacturers offer a clad option that marries an extruded aluminum exterior with wood interior that can meet the most progressive energy code requirements with standard glass options. This thicker 2¼-inch panel provides increased thermal efficiency for year-round comfort. This is particularly significant as more stringent energy codes have been adopted nationwide. The door’s frame supports and holds the door’s glass, which itself can be selected from a range of single, double, or triple glazing options. Overall U-factors in the door panels can be achieved at or near the common fenestration target of 0.30 or better, depending on specific glazing selections and fills. The glazed door panels fit into a track, running along the door head. This track guides the panels and is commonly made of extruded aluminum, with thermal breaks as needed. The track depth will vary to suit the number of door panels used in the multi-slide door. The door sill is also made from extruded aluminum and is available in a variety of flush or raised. The wheels that allow the door panels to slide are commonly made either from acetal, for smoother, quieter operation in lighter-weight panels, or from stainless steel for heavier-weight door panels. Altogether, the door panel assembly is intended to be more rigid, more durable, and longer lasting than conventional residential sliding glass doors with full customization of the overall door size. Manufacturers that offer multi-slide panels with consistent width stiles and nails create minimal sight lines for balance and symmetry. Thermally controlled frame materials provide enhanced structural integrity, design versatility, and increased energy efficiency. Structural integrity is clearly of highest value in all window and door units to maintain proper fit and operation of the products under conditions of wind, rain, and other weather stresses. Structural load deflection testing is routinely carried out by manufacturers under ASTM E-330. This test is used for multi-slide doors as well, with the results directly dependent on the size of the panels. The American Architectural Manufacturers Association (AAMA) publishes the primary standard for commercial windows and doors in its document AAMA/WDMA/CSA 101/I.S.2/A440-08: North American Fenestration Standard (NAFS)/Specification for windows, doors, and skylights. This standard defines four different Product Performance Classes: R, LC, CW, and AW. It also identifies the minimum Performance Grade (PG) that is required to satisfy the criteria of each class. The defining criteria is the minimum DP that a unit must resist such that Class R must withstand 15 pounds per square foot (psf) of pressure, Class LC 25 psf, Class CW 30 psf, and Class AW 40 psf. In addition, each class must meet minimum water-resistance test pressures ranging from 2.9 psf for Class R, 3.75 for Class LC, 4.50 for Class CW, and 8.0 for Class AW. Water penetration is tested by ASTM E-547 with the sill configuration routinely having a direct influence on the results. Clearly water entering through a closed multi-slide door wall would be disconcerting at least and damaging to the building at worst. Since such water penetration must not occur, water must either be sealed out completely or managed so that if it does penetrate any part of the system, it will drain away harmlessly. Multi-slide glass doors have been tested using these ratings and standards and have been found to meet overall DP ratings of up to 45, with additional structural elements up to 90 psf, and no water leakage at up to 6.8 psf. Identifying the true thermal performance of fenestration systems and products has been the focus of a not-for-profit trade association known as The National Fenestration Rating Council (NFRC). 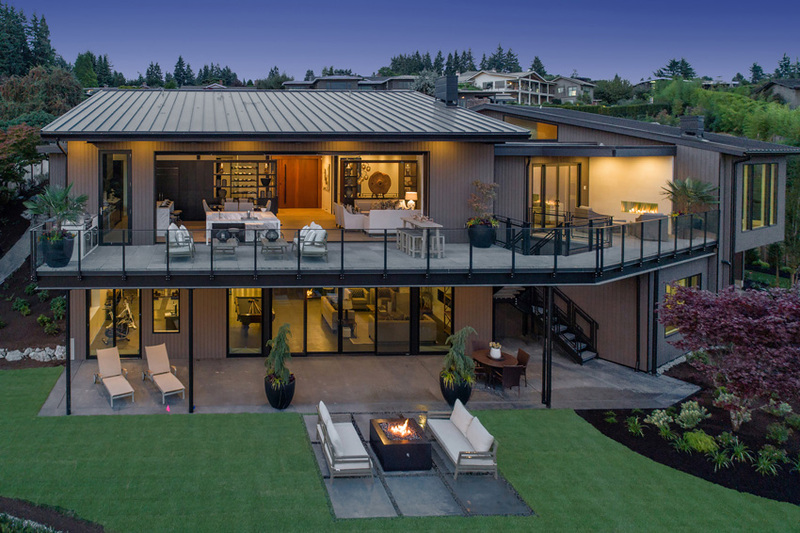 Since 1989, it has championed the process of fairly and comprehensively rating windows, doors, and skylights, including multi-slide glass doors. Prior to the formation of NFRC, window manufacturers used different tools to measure and report the energy efficiency of their products. In 1993, NFRC developed the first consensus method for evaluating the thermal transmission of windows. NFRC 100: Procedures for Determining Fenestration Product U-factors is now the accepted standard for rating windows, doors, and skylights for U-factor. 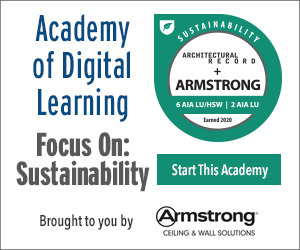 This standard establishes standardized environmental conditions, product sizes, and testing requirements so that architects and others can make informed choices by comparing the performance of different products fairly and accurately. One of the most important improvements NFRC 100 offered the industry was that the determination of heat loss encompasses losses of the entire window unit, not just the glazing. A multi-slide glass door that is tested and subsequently rated in accordance with NFRC 100 gets credit for all of the energy-efficient features, including low-e glass, thermally improved frames, and even the spacer used between layers of insulated glass. However, if a manufacturer is deficient in any of these areas, the testing will reveal that as well. Therefore, when comparing performance between different manufactured systems it is advisable to always look for products that have U-factors determined in accordance with NFRC 100. Beyond direct thermal transfer through materials, codes, and standards, the NFRC has increasingly recognized air leakage (AL) as a very significant factor in fenestration performance. Therefore, it is becoming required for fenestration products to meet minimum standards for this leakage or air infiltration and be tested, certified, and labeled as such, which the NFRC does. The total system must be able to withstand wind pressures associated with its location, and air leakage must be controlled not only for energy performance but also for occupant comfort and long-term durability of the fenestration system. In addition to the AAMA testing discussed, air infiltration testing under ASTM E-283 will indicate cubic feet per minute per linear feet of crack. Multi-slide glass doors address this need to control air leakage, and in the process weather leakage, by using an appropriate mix of perimeter seals on the door panels, usually custom fabricated to match the doors. Top seals can be brush type to allow for the smooth operation of the door but still restrict the transfer of air and weather. The bottom or sill seal may be of low-friction coated rubber applied to the bottom of the door, creating a full seal but still allowing for the smooth operation of the door panels. As the panels come together and interlock, continuous seals along the edges can include compression rubber gaskets, fin brush seals, or both. In all cases, the intent is to provide a tight seal when the doors are closed and maintain the pressure- and weather-resistant performance as tested. Understanding energy ratings and performance testing is vital, as more stringent energy codes have been adopted nationwide. Multi-slide doors, specified correctly, offer increased thermal efficiency for year-round comfort. NFRC testing also looks at other overall performance characteristics, including the solar heat gain coefficient (SHGC), which measures how much solar energy passes through a particular glazing (versus being reflected away), creating heat gains inside a building. This performance factor is usually adjusted through coatings applied to the glass to allow more light (and resulting solar heat) where it may be desired in cold climates or less where it is not wanted in hot climates. NFRC testing also responds to green building standards by assigning a value to the visible light transmittance (VT) that comes through a tested product. This VT determines the effective light available for daylighting so finding the right balance between how much light and resulting solar heat is transmitted versus how much to exclude needs to be assessed on a project-by-project basis. At the end of all of this testing, a comprehensive view of thermal performance of tested products is determined, providing a more accurate, credible, and uniform energy rating for fenestration products. The test results are documented through the NFRC Product Certification Program (NFRC 700, PCP), which sets forth the specific requirements for rating, certification, and labeling of a manufactured fenestration product. Manufacturers who participate in the NFRC Certification Program have their products listed in the NFRC Certified Products Directory that contains thousands of certified products and is available at www.nfrc.org. In addition, each tested unit is then shipped with a standard label that identifies the key elements of performance, much the way mileage rating stickers are applied to cars or nutrition labels are applied to food. 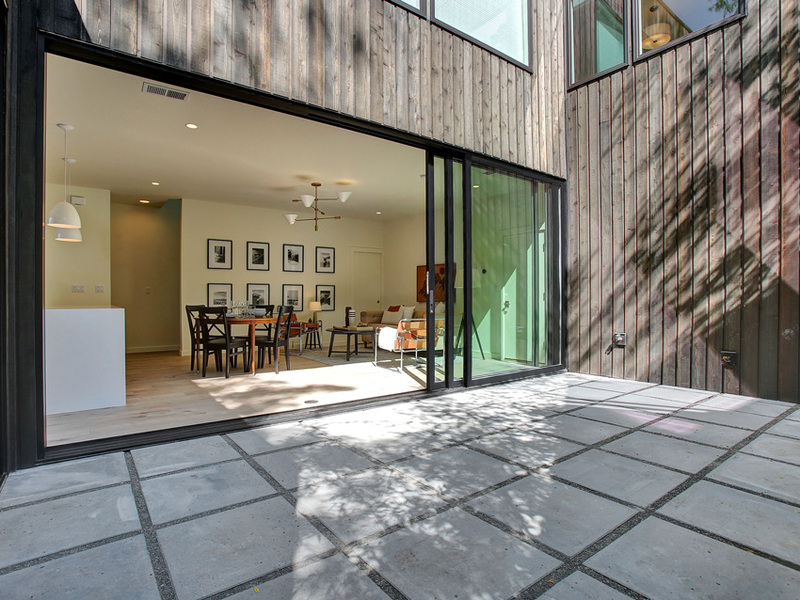 Balancing thermal performance, solar heat gain, natural daylighting, and energy efficiency plays into the selection and placement of doors and windows in a project. The ultimate balancing activity in any design is how much fenestration to use as a percentage of the overall wall area of a building. The energy codes tend to use 40 percent as the benchmark. In some cases, all of this glazing can be concentrated on one or two facades as appropriate to a location. 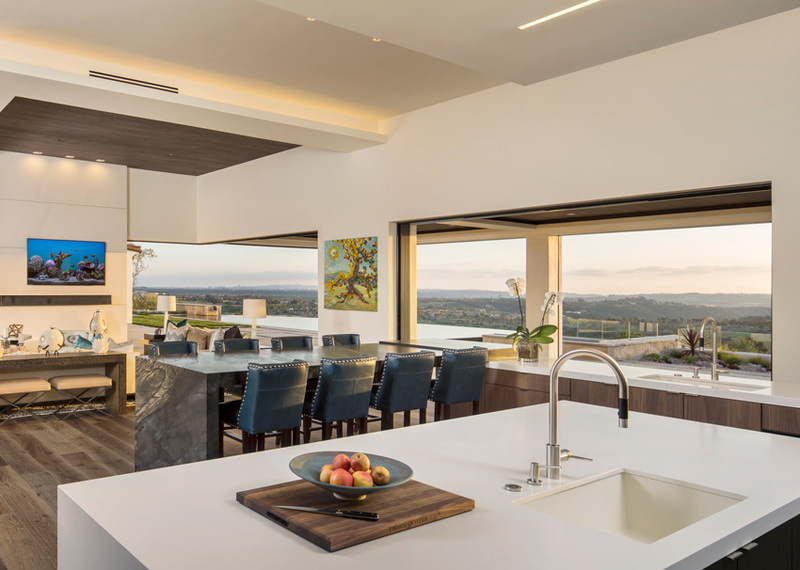 Building designs that use multi-slide glass doors with more than 40 percent window-to-wall ratios are possible, but offsetting measures elsewhere in the building envelope are required. The rationale for this benchmark seems to rely on the fact that a well-insulated wall will inherently perform better thermally than any type of fenestration. Nonetheless, they also recognize that only fenestration allows the natural daylight and potentially beneficial solar heat gain into buildings. Simple energy modeling of different scenarios during the earliest stages of design will help to determine the most appropriate balance of opaque wall to fenestration. This is particularly important when different facade orientations—north, south, east, or west—are taken into account since the best-performing buildings usually do not treat all facades equally. The talent, experience, and skill of the architect used in finding this appropriate balance will determine not only design quality and code compliance, but also in a very real way help determine the overall energy performance and utility costs experienced by the owner and users of the building. Multi-slide doors blend the inside and outside spaces around the main courtyard to create a dramatic living experience. 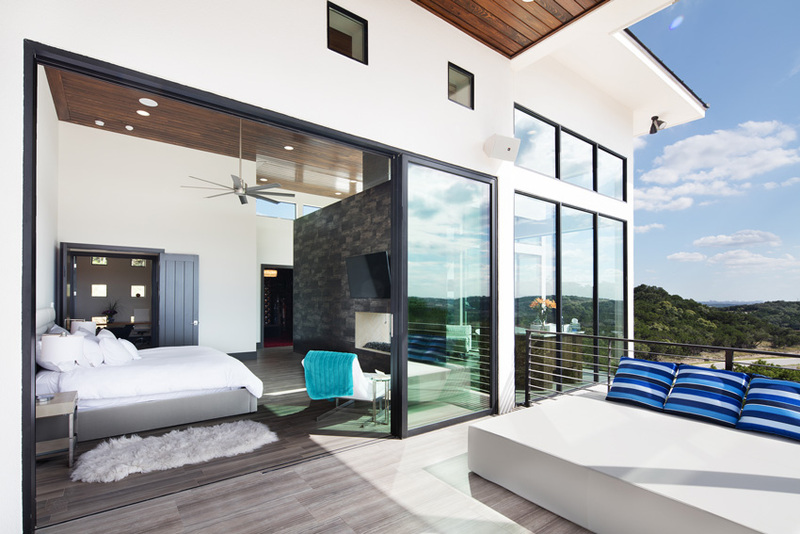 The Piebald Ranch by Craig McMahon Architect is right at home in the Texas Hill Country. The sprawling ranch house has a total of six bedrooms and five baths, enough to accommodate the owner’s family and offer visitors their own private retreat. 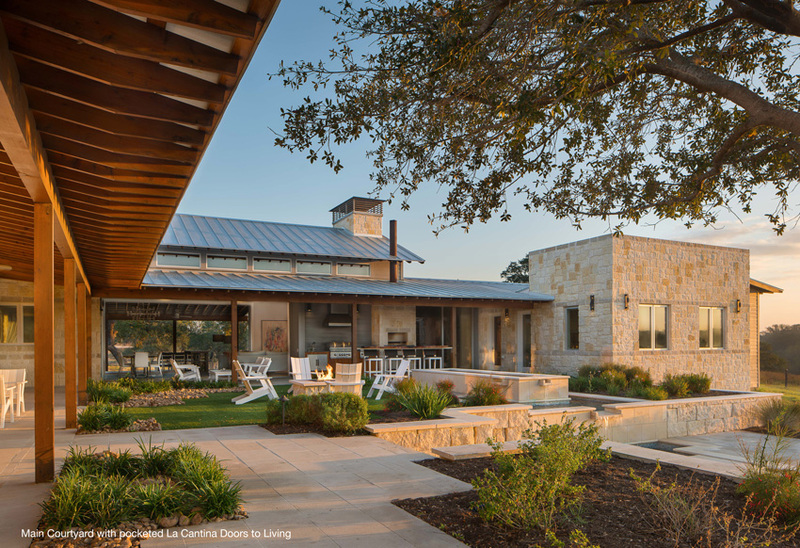 Two 10-foot-tall clear anodized aluminum swing doors echo a historical Texas Ranch breezeway connection and provide a gracious opening on the property’s main courtyard. Multi-slide pocket sliding door systems blend the inside and outside spaces around the main courtyard to create a dramatic living experience.